Once you’ve made the exciting decision to join the Kohut family, our job is to make sure things go as smoothly as possible. We put a great deal of thought and experience into our policies, procedures, and practical processes as we constantly strive to provide outstanding service to you and your children. We will be in touch through a variety of emails, newsletters, print materials and phone calls to help prepare for a fantastic Kohut summer. Detailed information and a variety of forms will be available at different times on your Family Dashboard. These publications will include a Parent Handbook, a uniform catalog, a packing list, medical forms, activity requests, cabin preferences, and Trip Day sign ups amongst others. As always, please do not hesitate to contact us if you have any questions or concerns. As we get closer to the start of summer, Kamp Kohut will host a series of Spring Picnics as an opportunity for campers to meet and greet our Directors, some of our key staff, and other campers. Parents and siblings are welcome! We’ll play games, eat pizza, and try our hand at a craft project. Check out our Spring Picnic page for the latest updates. Details will be sent via mail and email. In order to help our new campers feel comfortable and prepared, we assign each of them a great “big brother” or “big sister.” Our “bigs” are older, returning campers who reach out to newcomers before camp begins to connect through phone, email or letters. Their goal is to help alleviate any nerves and give a new camper a chance to get even more familiar with what to expect of the summer. Once camp begins, big brothers and sisters are right there to help their “littles” get settled by offering campus tours, introducing them to other campers, checking in during the day, and stopping by to say good-night. Throughout the year, we will be sending out a variety of mailings and emails to our camp families. Some of the mailings will be just for fun and others will include helpful information. As always, we welcome phone calls and emails from our campers and their families. We love to stay in touch! Sign up here to subscribe to The Kamp Kohut Kronikle. There are a variety of on-line forms we require for participation at Kamp Kohut. These include mandatory forms, such as the medical form and health history, as well as essential forms such as the Parent Insight form and the Activity Sign-Up form. We ask that you pay close attention to the deadlines for each form. To access these forms, simply login to your camper’s on-line account. You can learn more about travel options here or register right on-line when you’re logged into your camper account. Travel registration deadlines are generally in the spring. Details are published annually with the camper forms online. The packing list and instructions for ordering uniform can be found in your on-line camper account. We recommend ordering uniform items in early spring to avoid delays and to have time to exchange items if necessary. 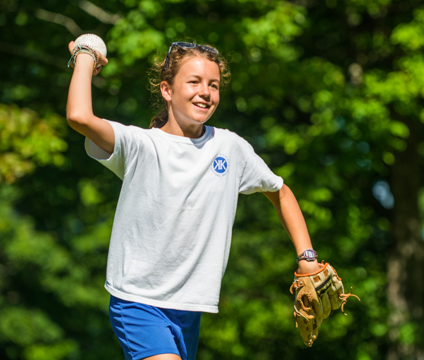 International campers are welcome to have their uniform items shipped directly to camp. We’ll hold on to the packages until your camper arrives. A representative from our clothing company stops by camp on the second or third day of each session to help campers with any uniform questions, exchanges or new orders (with permission of parents, of course!). Almost all kids have some mild homesick feelings when they are away. This is a very natural part of growing up and being away from home and family. Going away to camp and overcoming homesickness will help develop independence and self-confidence. Your camper will be so proud of him/her self for going to camp, being away from home, and having a great time. We will be right there to gently guide and help. 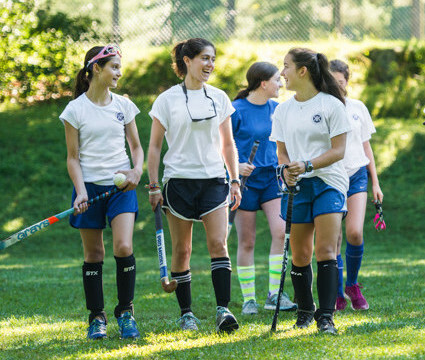 Plan your time at camp (pick your favorite activities, make a date with a friend). Get to know your camp (read up, watch the DVD, check out the website, ask questions). Spend some practice time away from home. Pack something special from home. Read a story about overnight camp. Do something to feel closer to home (write a letter, read your mail, look at a picture). Try to be happy and make friends. Remind yourself that your stay at camp is not that long and you’ll be home pretty soon. First of all, Kohut is a very warm, welcoming place where the focus is on children being in an environment where they are thoroughly supported, feel safe to try new things and learn new skills, and are surrounded by great people with similar interests. Secondly, we like to be very pro-active at Kohut. We feel the more a camper and family know about Kohut, and the more of a connection we have, the easier the transition to camp will be. There are a number of things we do to help make this happen, including: personal home visits, camp pre-season get-togethers, the Kohut big-brother/big-sister program, and a “homesickness” mailing with some great tips on words and tools to use to help everyone get ready for the summer. We also encourage families to practice for camp by doing extra sleepovers or trips from home. Thirdly, Kohut has around 120 staff for 200 campers! Approximately 80+ of these staff are counseling staff, which is an exceptional rate of supervision in a mainstream camp setting. Not only are our counselors excellent instructors, they are caring adults who enjoy working with and helping children. In terms of overcoming homesickness, it is great for campers to know there are lots of nice people and positive role models to help them adapt and settle in to camp. Finally, one of the best ways to overcome homesickness is to be busy. If a child is active and focused on having fun and learning skills, while mixing with nice people, it makes a huge difference in helping them cope with being away. Kohut’s elective yet structured schedule keeps campers busy all day doing things they have chosen and are excited to do. This leaves little time to dwell on being away from home and helps tremendously to minimize homesickness. If you would like to chat with Lisa about your specific concerns for your child adjusting into camp, please don’t hesitate to call us.